I must say I am absolutely thrilled with a plastic bag I bought by chance the other day. It all started in Dealz of Moore Street where I had picked up some neat kitchen items only to find out at the till that all they had were high-priced bags-for-life in which to carry them out. What a swizz, I thought. I didn’t really think that because I am very trusting in reality, to the point where I am actually pretty easy to take advantage of. So I left Dealz, loose items in hand, and went to the place opposite, a discount store (well look at you, Mr. American) called The Works, selling a small range of books, stationary, toys and such. I explained to the cashier my situation and he was happy to provide me with a bag, the one pictured below, at a cost of 30 cent. 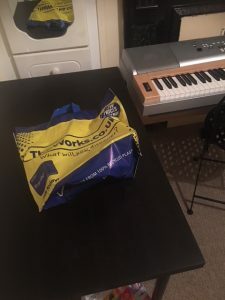 Now, while I was hoping The Works might be that rare breed of shop that still charges nothing for a bag (perhaps even the type to offer a free, sturdy, decorative, paper bag) I have to say that, for 30 cent, what I was given was a damn good plastic bag. As you can see, it is undeniably pretty, but, also, it is strong. I can see myself reusing it a few, if not several, times. You’d be looking at paying in the region of 70 cent for a bag of this quality in Tesco or Lidl (and those bags would be less pretty to boot). The bag’s prettiness lies in its colour which is yellow and blue. I have always liked this combination of colour because it’s possible my earliest experience of genuine enchantment was watching footage of the 1970 world cup final on VHS video. 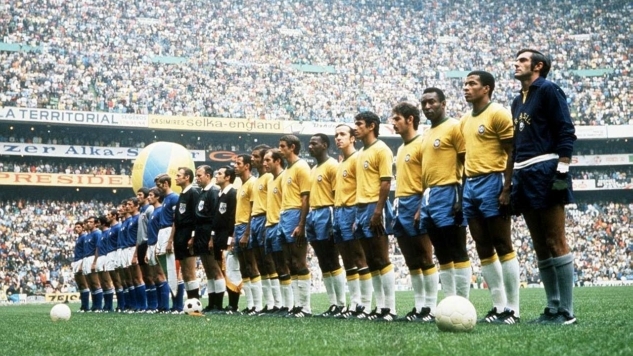 That glorious looking match is full of yellows and blues. So, it would seem I can see beauty in plastic bags too, and I don’t even need them to be faffing about in the wind. Butler 1, American Beauty 0 (or maybe 1 also). I have a song called “Yellow and Blue” which Ron E. Smith did a cover of. Here is Ron’s cover. Speaking of bags and cashiers, when I buy something in a shop and the cashier puts the receipt in the bag, I always laugh silently because it reminds me of the Limmy sketch in which he finds a cashier’s offer to put his receipt into his shopping bag to be this wonderfully thoughtful, touching gesture. I am guessing staff mistake my silent laughter for a big warm smile of humanity, which is fine. I am glad to spread the good vibes. 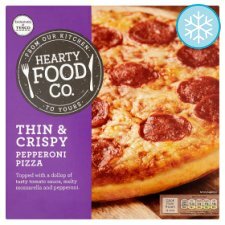 Speaking of buying things, I bought a pepperoni pizza for 61 cent from Tesco the other day (a different other day). The interesting thing about it was the box carries the logo, “Hearty Food Co.” suggesting some degree of salubrity. Allegedly no artificial colouring or preservatives added either, though what counts or doesn’t count as those is anyone’s guess. The pepperoni was an eerie shade of bright red, in any case. I suspect what Tesco have done here is disingenuously rebrand their blue-striped value range into something the consumer assumes to be less noxious, perhaps even wholesome. And I, for one, fell for it hook, line, if not quite sinker (falling for something sinker implies lack of self-awareness). It wasn’t a nice pizza and I woke repeatedly during the night with one of those industrial, metallic sort of tastes in my mouth, which I suppose Google would tell me is a sign of an impending, great illness (so won’t be googling that then). 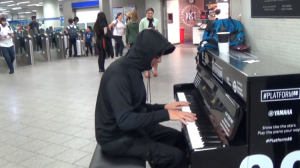 Speaking of disingenuous, a while ago I came across a YouTuber, a professional pianist, who plays public pianos (in airports etc.) dressed as labourers, cops, lads in hoodies, and various types whose artistic ability the “bourgeoisie” are wont to underestimate. He then gives his videos clickbaity titles suggesting they were spontaneously captured by impressed onlookers. “Workman Stuns Audience With His Piano Skills” is one such title. It’s unlikely this YouTuber will ever acknowledge how manipulative and insincere his videos are because it’s likely he just thinks he’s creating content for people to like and share on social media and that is all that matters. He is making people happy, brightening days; integrity is irrelevant. Okay, I have just given this further thought and I now am no longer sure if the mild ire I’m expressing here is fair and reasonable. I googled your man and he claims the whole thing is partly “social experiment.” He loves to play piano and wants us to share in his love while challenging societal preconceptions. What’s wrong with that? I’m the prick here. I was wrong to call him manipulative and insincere (was also going to throw in “smug”). Maybe I’m jealous of his virtuosity (not really) or his popularity (maybe). What do you think? Does this fella lack integrity? Let me know by email. I have no opinions anymore; please tell me what to think; the world is far too confusing; I am so alone. Perhaps it is best not to reflect on notions of integrity. Perhaps it’s best not to reflect, in general. When I think how guilty, ashamed, neurotic I can become over stuff I write. It’s pointless really. Like I was in Lidl’s of Moore Street (yep that street again) the other day (another different other day) and noticed Richard Bampfield is no longer the face of their wine collection. 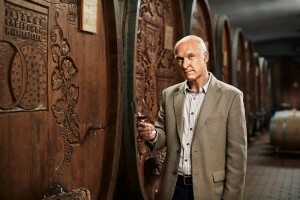 I wrote an imaginary joke interview with Mr. Bampfield a while back on this blog and after seeing he had vanished from Lidl, I straight away took to worrying he had googled his name, found my joke interview, and become mortified over a total stranger poking gentle fun at the idea of him, a sophisticated wine guy, endorsing a German supermarket known for its low prices. Perhaps I have destroyed his life — humiliated him, made his wife leave him, his kids disown him, sent him into financial ruin! But can I concern myself so much with the feelings of another and retain my own integrity? What a dumb question. Anyway, it’s odd me here discussing other people, what with me owning that Eleanor Roosevelt sweatshirt and all that. Hypocritical much!? I’ll stop now. Hope you enjoy the song.